SAVINGS | SnL World !!! Alovely song sang by sexiest person. Yeah, whenever I hear this song I float in my world. I close my eyes internally and think wonderful things. Fancy things like wearing designer’s clothes I travel all around the world by private jet, owning a nice car but when I fall with ‘thud’ sound I come to reality. Yesterday only i lost ¼ part of my salary!!! !I paid my room rent. Whenever I look at my empty account it mocks me. 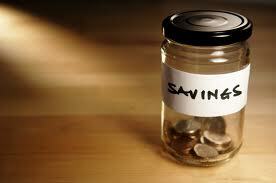 After listening to my dad’s, moms, aunts lecture on SAVINGS I started saving. Just wonder how they expect me to save from my salary when my salary is just few K’s. But I try hard. I stop eating from KFC, MACD instead I started cooking everyday. Sometimes the vegetables prepared on Monday will come till Wednesday. I know sounds bit…..yak. When I was at home I used to have only freshly prepared vegetables. You see when somebody is there to worry about you, Cook for you, you can do any drama. But when ball comes to your court you will get a clear idea about the game. Life teaches you everything. Even my roommate “the chick” is just beginner in cooking. Once she had prepared some vegetables which she forgot to chop into smaller pieces. After having that I decided never to comment on my mothers cooking. Under my guidance chick has improved her cooking skills. It’s how I feel personally. But chick might have something different to say. Sometimes I do have one to one conversation with god. I tell whatever I want to tell I hope god listens. Not sure because so far I never herd him talking. May he faints listening to my “things I want “list. I do bribe god sometime. It’s a shameful thing to do I know. But once you start earning nobody will ever sponsor you anything. It’s true.